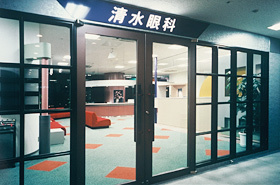 Shimizu Eye Clinic was established in 1987 and is located approximately one minute walk north of Musashisakai station. 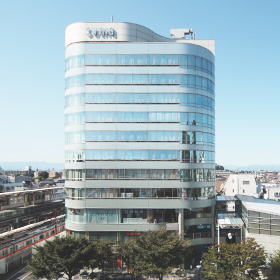 At Shimizu Eye Clinic We’ve been performing outpatient cataract surgery since its inception. 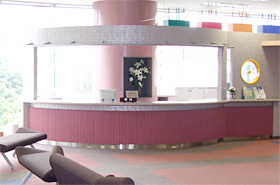 We are one of the pioneers of outpatient cataract surgery in Japan with total cataract surgeries numbering over 14,000. Today our surgery is performed under topical anesthesia in bioclean rooms. Toric intraosular lenses (IOL) or multifocal IOLs are used if necessary. Our specialties include not only cataract surgery but also the treatment of glaucoma and retinal diseases. Dye laser is equipped for the coagulation of retinal diseases such as diabetic retinopathy, and anti-VEGF injection is done for aged macular degeneration (AMD). Our intention is to provide the best treatments to any patients along with the best amenity. We strive to make every patients comfortable when staying at the clinic and free from the anxiety. If you have any problems with your eyes, please visit our clinic or call us. We welcome patients with any eye condition, even conditions which might be considered trivial. We open every Monday to Saturday except on national holidays. Nonowa exit of Musashisakai Stn.